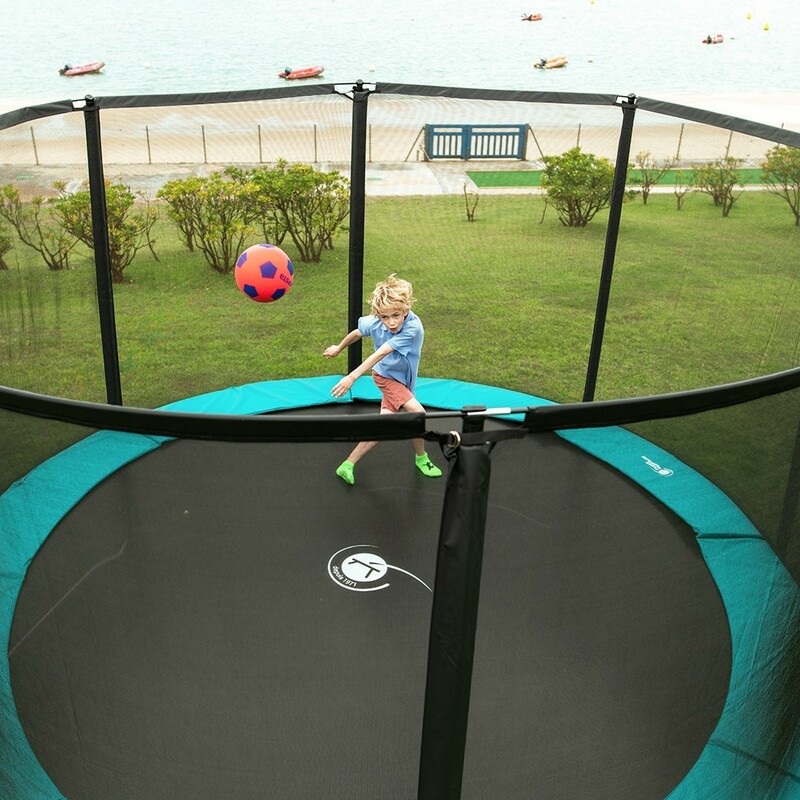 The Jump’Up 360, with enclosure, is perfectly adapted to children and teenagers for recreational use. 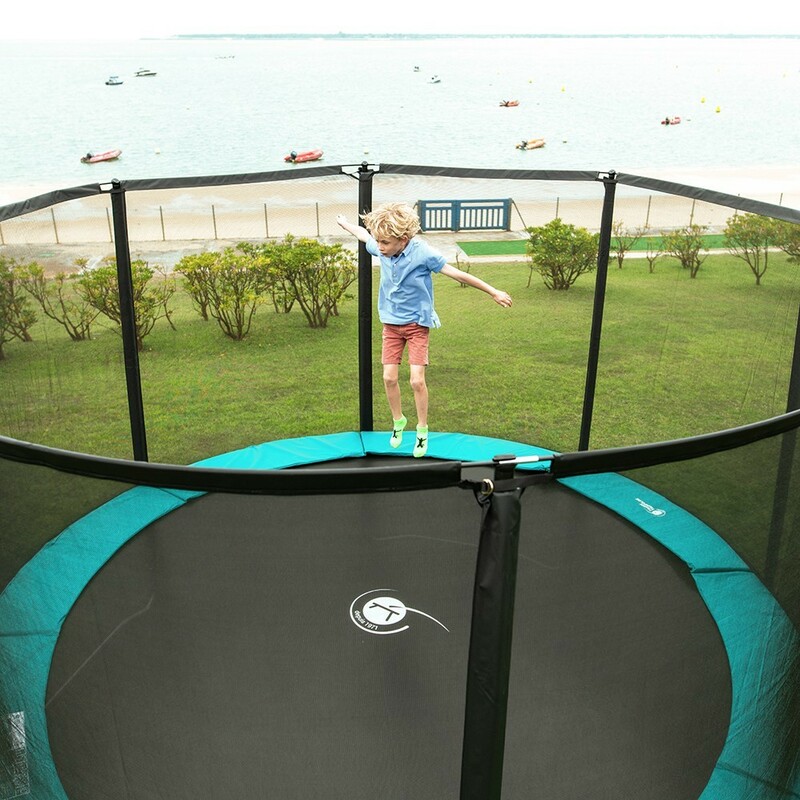 As with the whole of the Jump’Up range, the quality materials allow it to withstand up to 120 kg in weight and guarantee its durability. 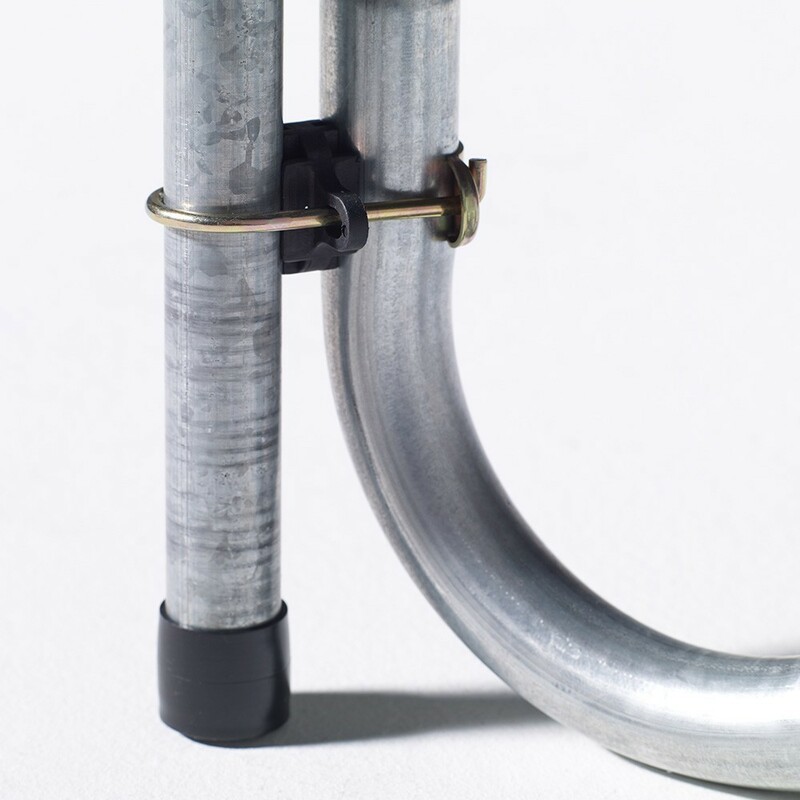 - Its framework is hot-dip galvanized and has been designed to be weather resistant for many years, with its 1.5 mm thick steel posts of 42 mm in diameter. 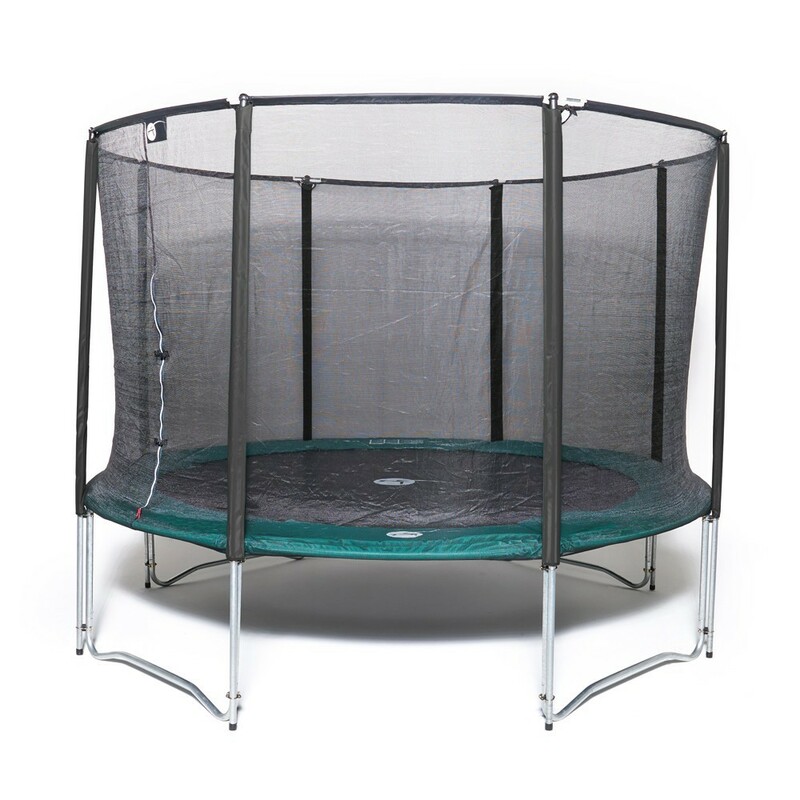 - This trampoline is designed for intensive use by the whole family. 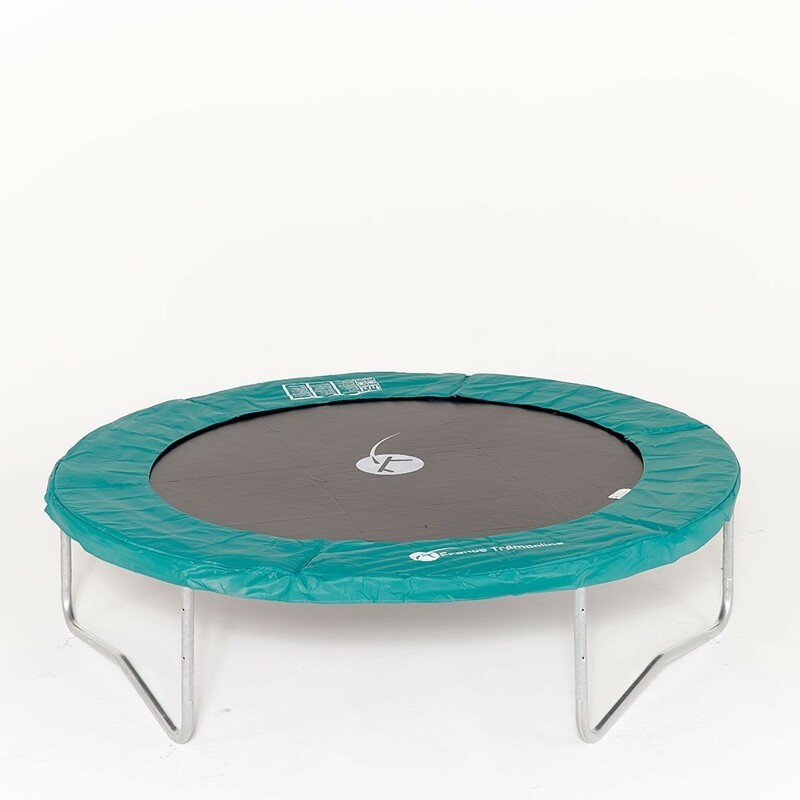 It has a very dynamic bounce compared to a trampoline with springs of only 140 mm in length, as it has 72 springs of 180 mm, which your children will be thankful for. 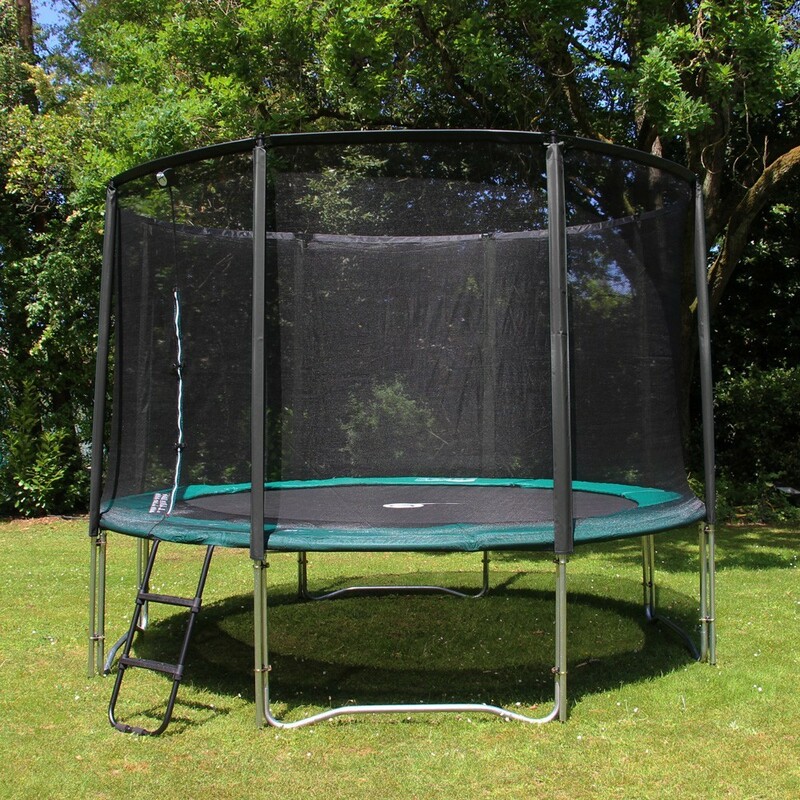 - The framework has been assembled using T-junction components, guaranteeing an increased durability. 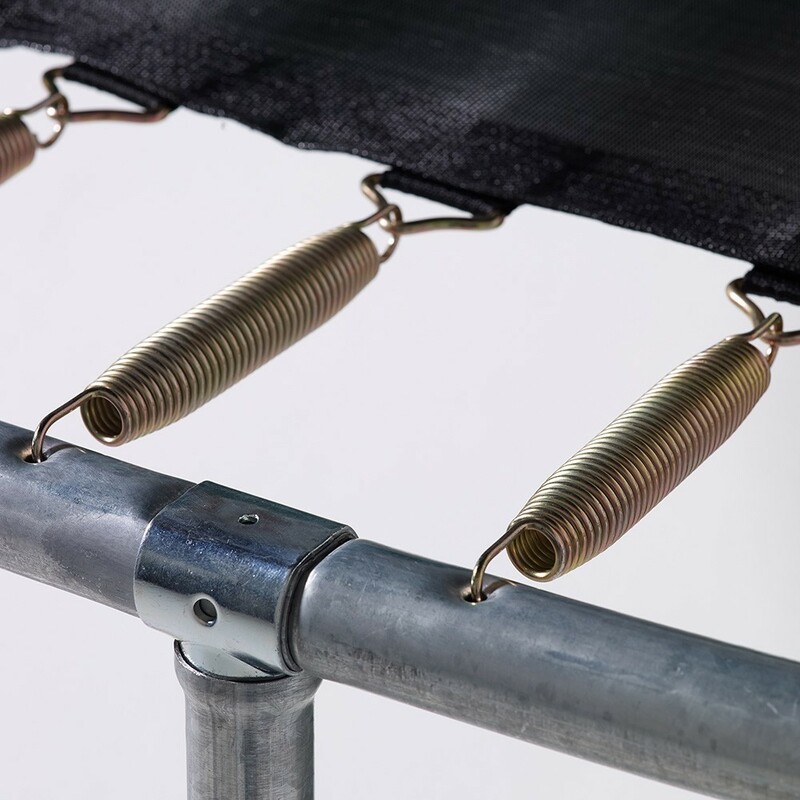 These components are placed between the legs and the semi-circular components on the trampoline. 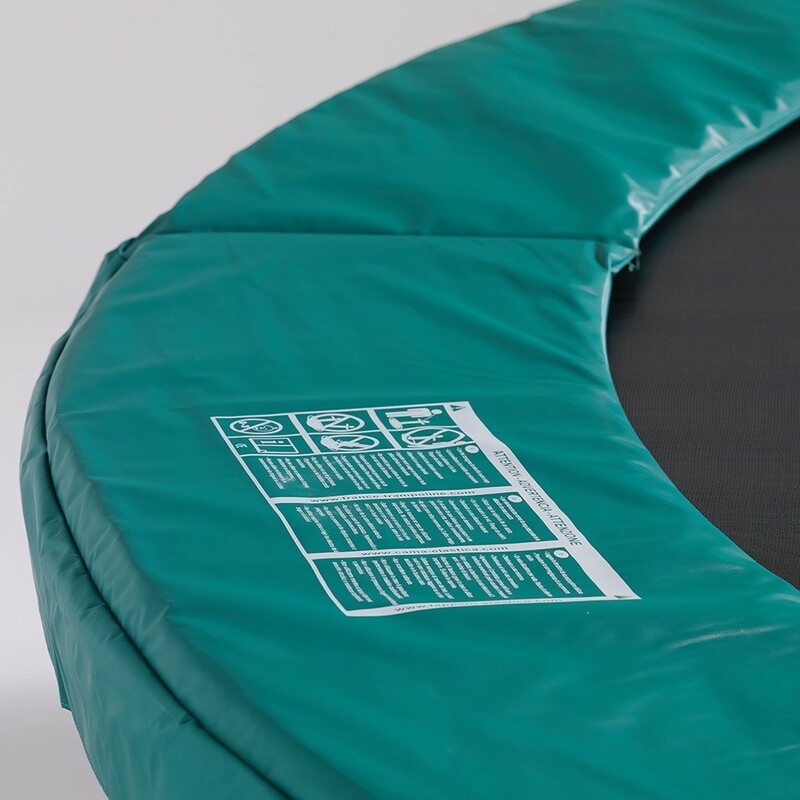 - The edge of the jumping mat has a strengthening strip and 8 rows of stitches. 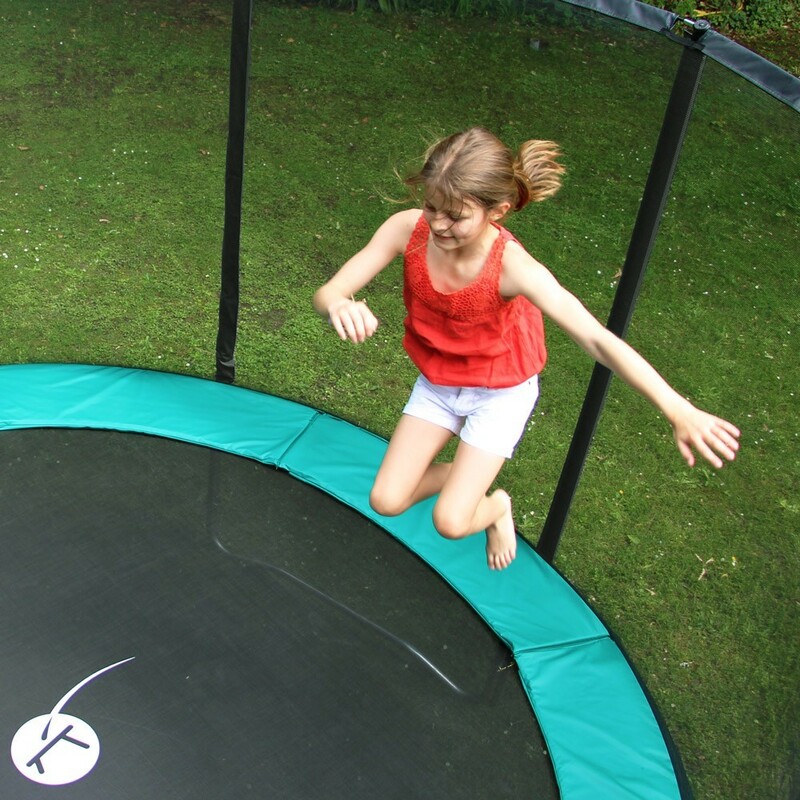 - The green frame pad will fit into your garden perfectly. 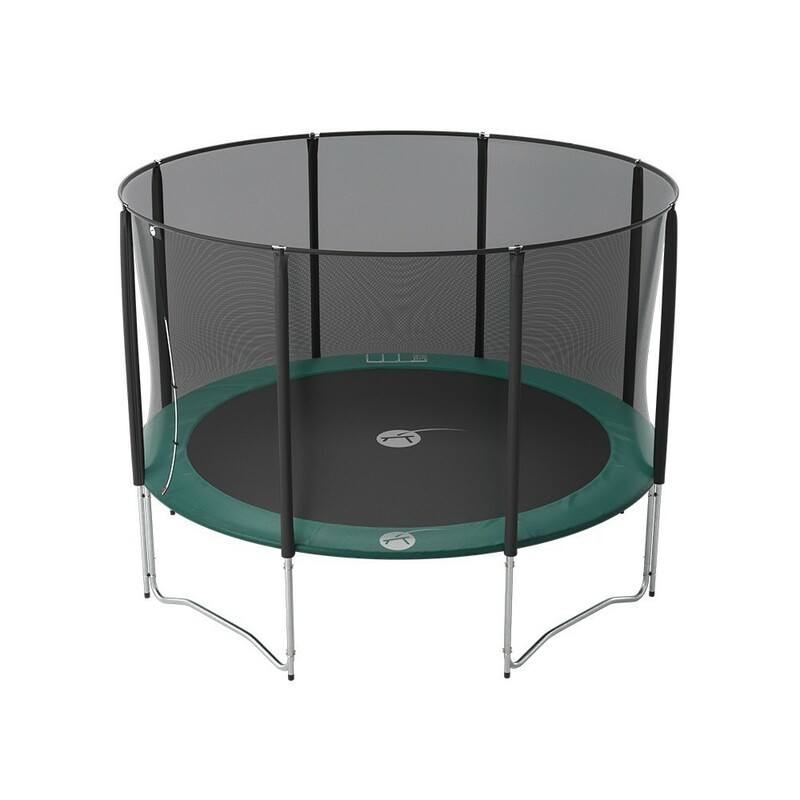 It is made from 20 mm thick EPE foam, so your children will not feel the springs. 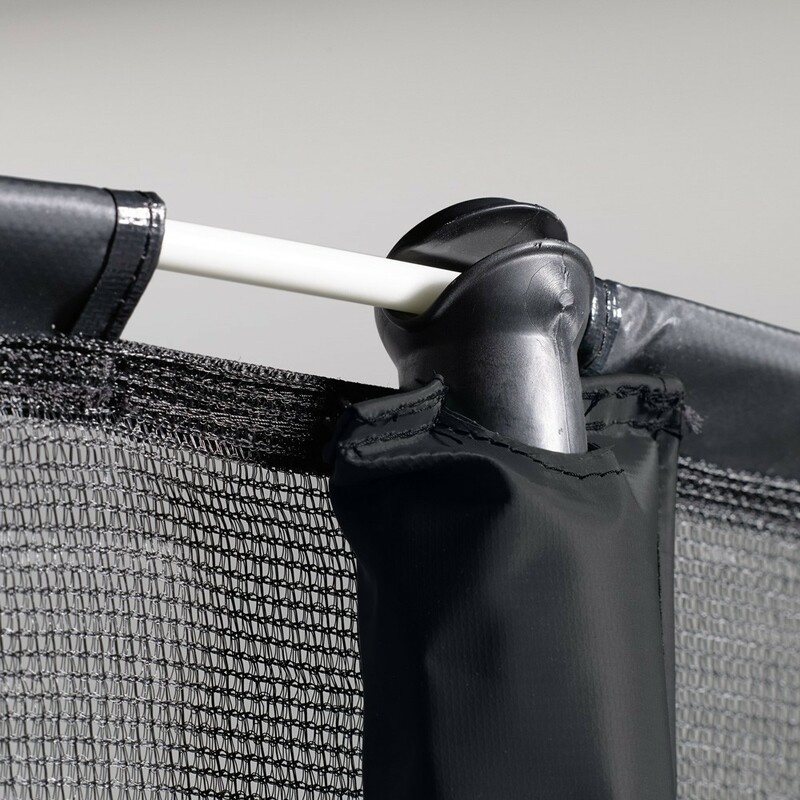 The PVC which covers the foam is 650g/m2, which is comparable to the density of a lorry tarpaulin. 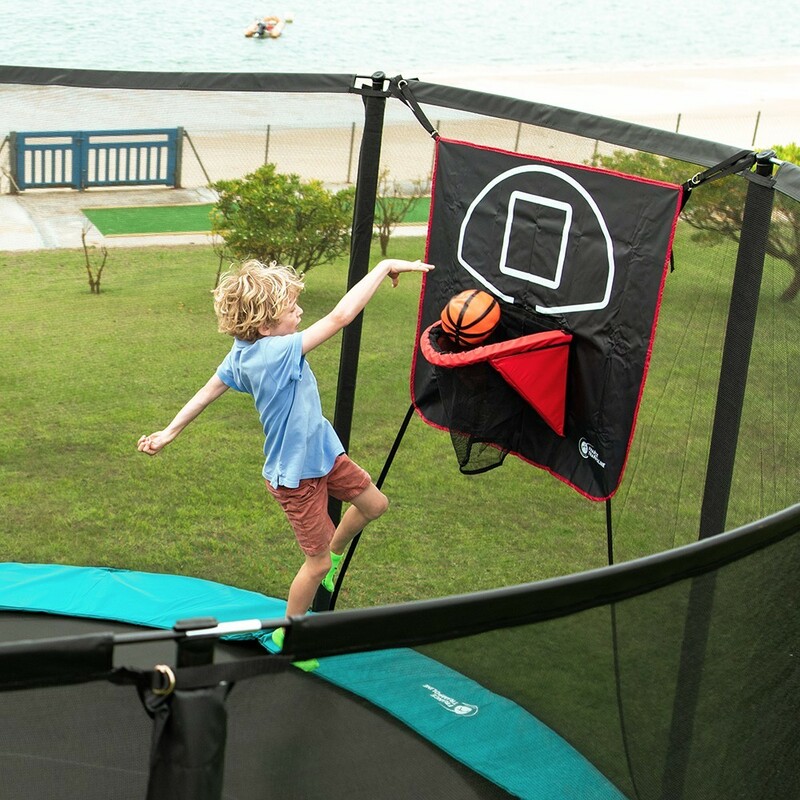 - Our trampoline enclosure ensures maximum security: all the technical components have been maximised, allowing your children to enjoy the trampoline safely. 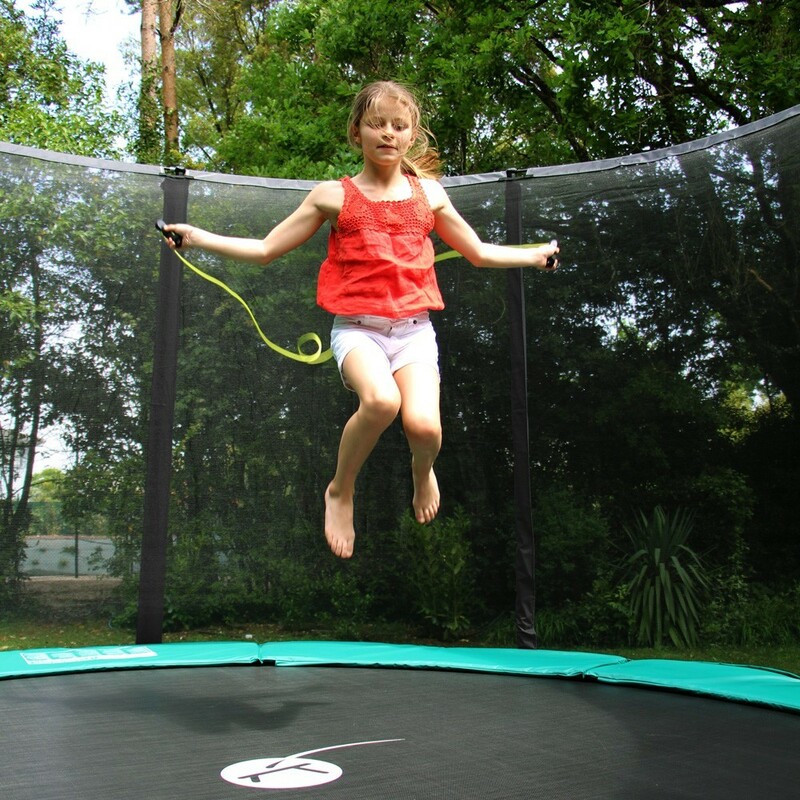 The hot-dip galvanized posts of 32 mm in diameter, which go down to the ground, are maintained by 2 fixation points (compared to other trampolines on the market with 25 mm posts and 1 fixation point). 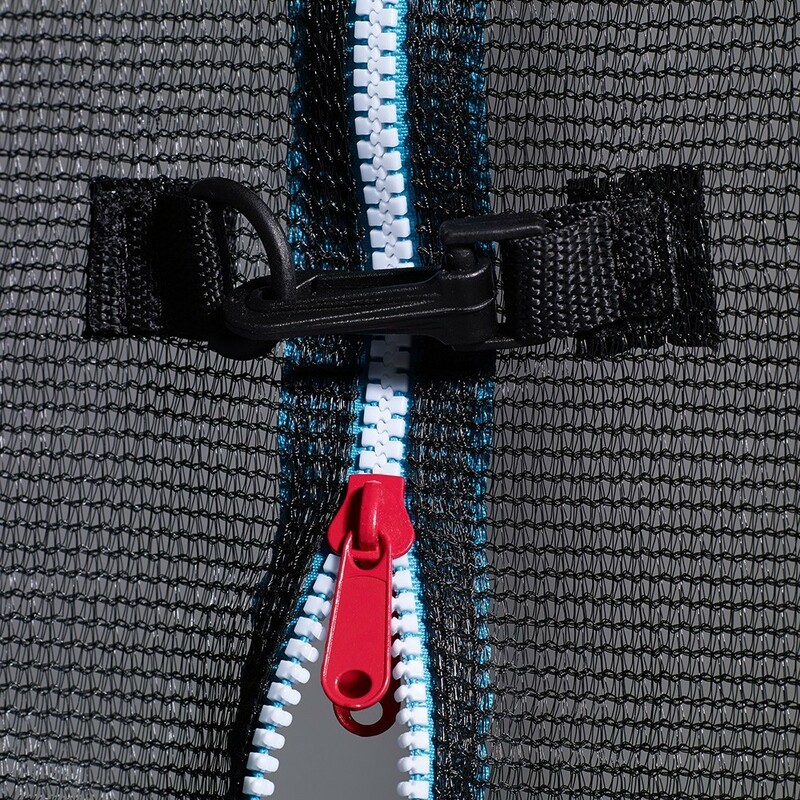 The overlapping closing system is more hard-wearing than a zip. The net is maintained by fibreglass rods on top of the posts: it will remain durably stretched. 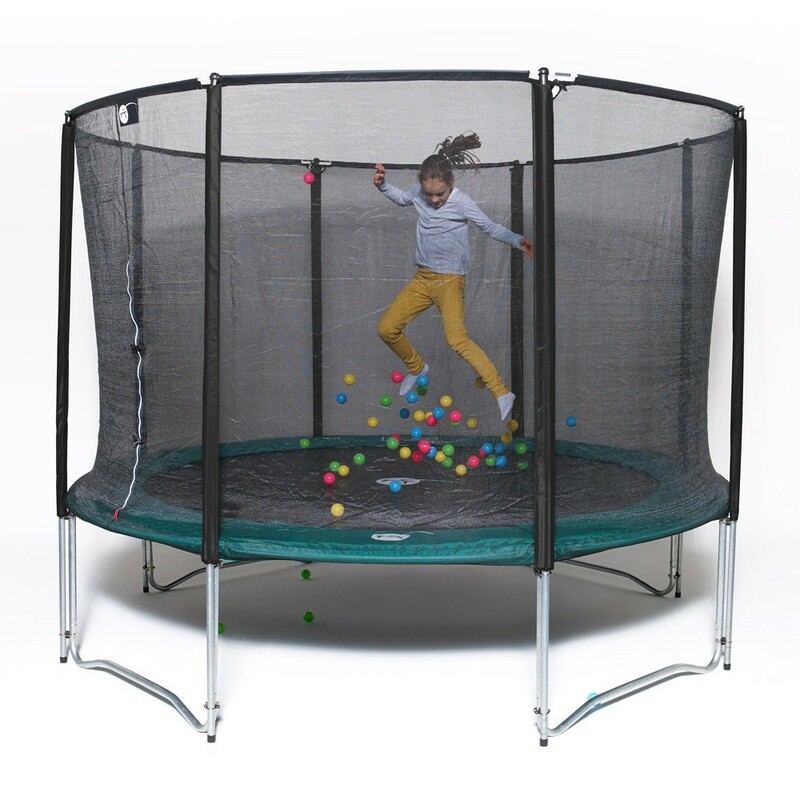 Très bon produit si ce n'est les crochets plastique des tendeurs de la protection périphérique verte des ressorts de la toile de saut un peu fragile.sinon produit très bien pensé et facilement montable.